ALWAYS INSIDE STORED...with FULL COVER!! Pride In Ownership Shows!! EXCELLENT Fresh Water Boat! 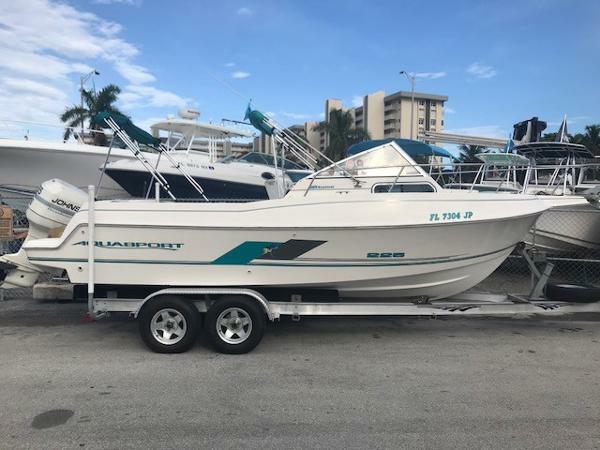 Complete Marine is pleased to offer this 1997 Aquasport 225 Explorer Walk-Around equipped with a Johnson 225 2-Stroke outboard engine. 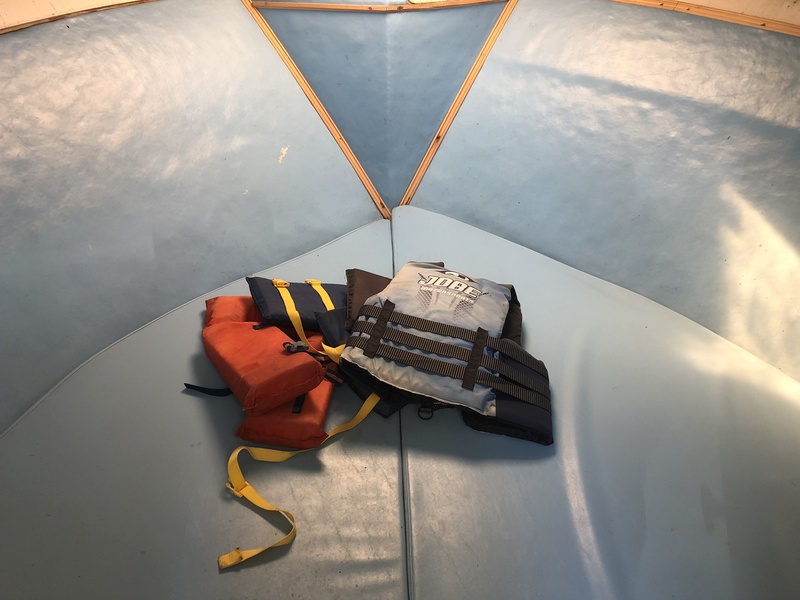 This boat is in excellent condition and shows very well. This boat has been used in fresh water primarily with only limited salt-water use. The engine runs strong and has been maintained to a "T". 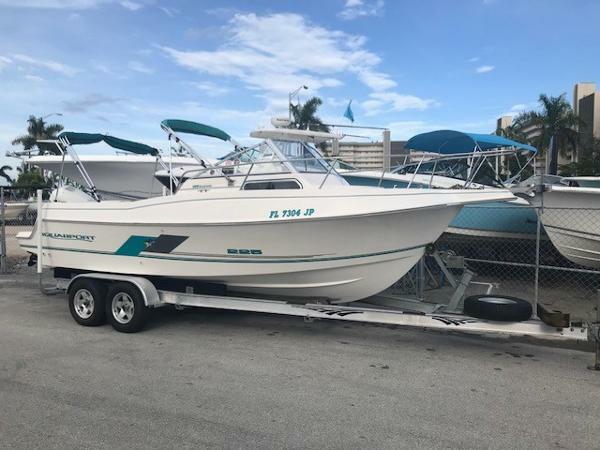 You wont find a cleaner, better maintained Walkaround for this price, she shows better than much newer boats and at a fraction of the cost! 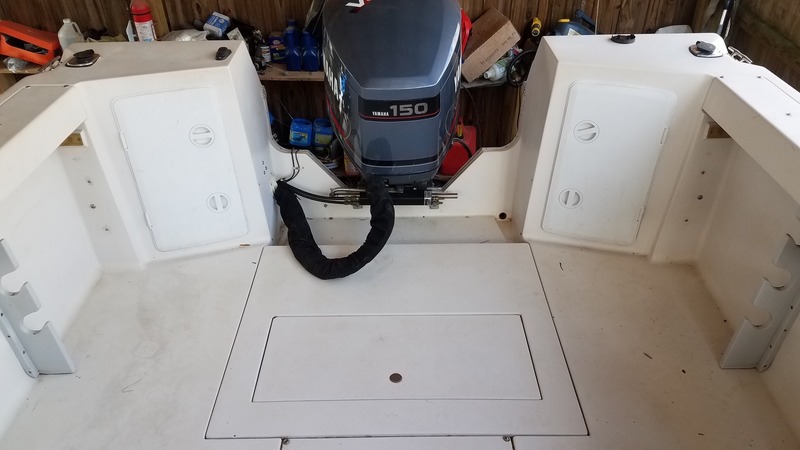 The boat includes a Garmin EchoMap GPS/Fish Finder, VHF Radio, AM/FM/CD Stereo, Fore and Aft Bimini Tops, Full Boat Cover, Live Well, Fish Box, Dual Batteries w/Switch, Trim Tabs, Pedestal Helm and Companion seating, Cockpit seating, and more. Stop in to see this pristine 225 Explorer today, she will not last long! 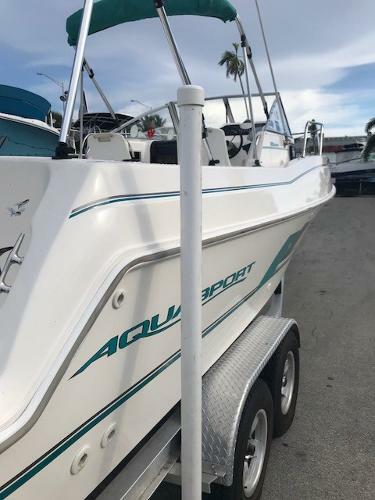 1992 Aquasport 210A Walkaround , bought this bought in 2009 with bad motor, put a factory rebuilt Yamaha 150 Saltwater Series. Brought this boat back to Tennesse in 2011, have less than 200 hrs on new motor. 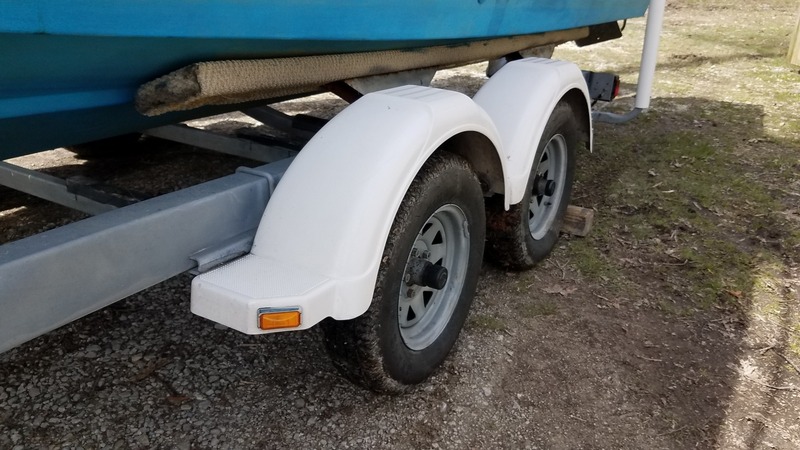 Used mainly for freshwater striper fishing, cabin is fixed up to spend the night in.Trailer is a 2005 Shorelander with five new tires last year , new electric brakes & hubs on rear axle.I will try to list the upgrades I have made: New LED lights in cabin, wired for generator and Inverter. Replaced the GPH Sensor, added motor water pressure gauge, analog fuel gauge , deck blue lights for night fishing. Two new Batterys in Summer of 2018 Gauge in cabin to check both battery voltages. TV cable and Solar Panel & Controller to charge third battery. Have use it with a generator on back deck. but inverter will operate the tv .Replaced Hyd trim plates with Stainless manual spring loaded trim. Plains out a lot better. 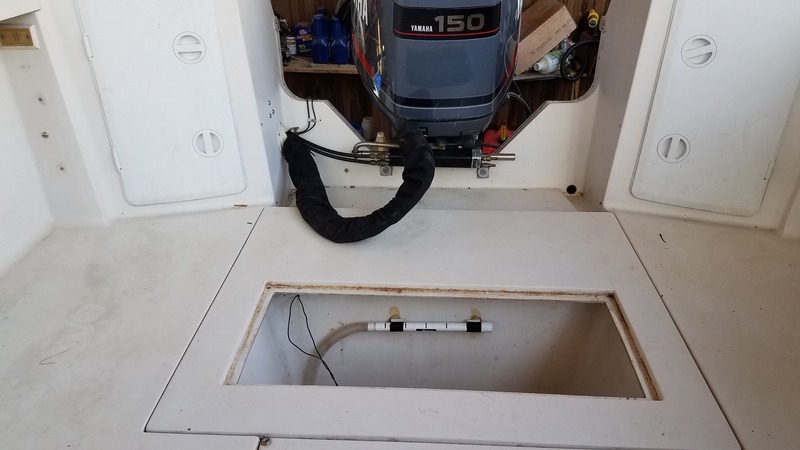 120 gal fuel tank Gallons Per Hour Gauge read 6 GPH at 1500 rpm and 28 GPH at 3500 rpm Boat has never been out in weather since i have owned it. Great for Freshwater or Saltwater. $12,400 or Reasonable offer.